Founded in 2013, based in The Netherlands. We are here to simplify security: focus on ease of use, and provide a valuable solution to companies and the security community. Our software solution is tailored to secure UNIX-based systems (like BSD, Linux, and macOS). Main goals include security auditing, system hardening, and testing for compliance. The process to simplify security; Making it measurable and return an actionable plan for everyone, from system administrators up to the CISO. Your presence on Earth is formed by two parts: offline and online. The first you can see in a mirror, the second one is harder to grasp. It is a collection of data, like your unique identification number, bank accounts, and your online identities. One mistake, or purposely deletion, could make life very difficult. No more the ability to travel freely, or having access to your own money. Your securities might be gone that easily. We think you should take actions to protect yourself from that. Your personal data should be properly secured. This is done by applying the right level of information security. We believe that if you work with sensitive data, professionally or personally, you also have the responsibility to protect the data of others. Their address details, passwords, or preferences, may be at risk. This is where things get hard, as you will need to know what to do, where to start, and when is it enough. To be effective in this role, you will need a security toolbox. It should include security policies, trainings, and set of tools. We are CISOfy, and we are here to help you getting that toolbox. We believe in the power of information technology and open communications. The internet is a great place that revolutionized how we interact with others. At the same time is also very vulnerable. In some countries the access to internet is filtered by their governments. Many organizations are spying on you with so-called web trackers. One of our principles is simplicity and we apply that in all areas of our business. This can be seen on this website, a functional website without the fancy graphics (and without trackers and spying). The biggest companies on this planet "open source" their products, to get attention from the community or save a proprietary solution. We are different. We started our business in 2013, building on the tool named Lynis. It was already open source six years before our inception and created by our founder Michael Boelen. We truly can say that the open source community is part of our foundation. The Lynis community will always remain an important part of our customer base, even for those that are not paid customers. Why? We have a higher goal: make the digital world a safer place by giving you the tools to better protect sensitive data. For that reason we keep working on a community and enterprise version, and maintain a healthy balance. Software solutions should be easy to use from the very first time. It should be open, understandable, and continuously guide you to the next step. This way you keep learning, and achieving a higher level of satisfaction. Most software is the opposite. We believe that we finally created a security solution that meets all the demands: Lynis Enterprise. Our solution gives you the control. You will have the resources to perform health scans of your IT systems and define a plan of action. Information security simplified, like it should be. Our motto:You are the one to score, we simply assist. 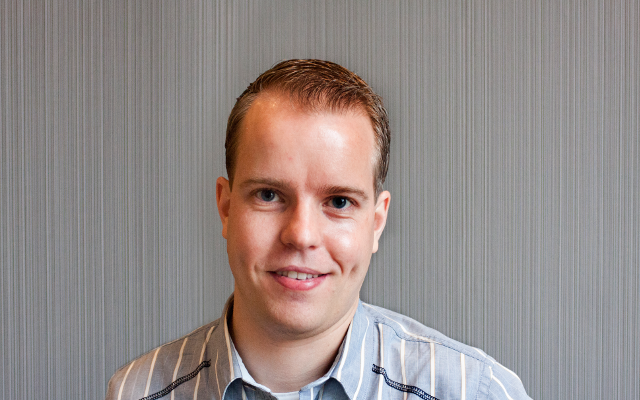 Michael Boelen is company founder and reponsible for defining strategy and development efforts. He is a specialist in the field of Linux and UNIX security. Work experience includes small to Fortune 500 companies (Philips, T-Systems, and ASML). Contributions to the field include open source security tools like Rootkit Hunter (rkhunter) and Lynis. He is also a regular contributor to our blog Linux Audit, covering Linux security. Lynis Enterprise is our solution to implement continuous auditing your Linux/Unix environment. It includes individual modules to be both a flexible and extensive solution. Most of the icons used on this website are copyrighted by Yusuke Kamiyamane and licensed under a Creative Commons Attribution 3.0 License.